SNS CABx is a well-established, well-regarded and innovative local charity, run by local people for the benefit of the communities of north Staffordshire. 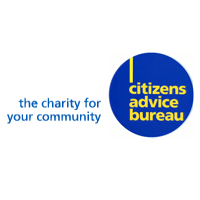 We are members of the National Association of Citizens Advice Bureaux. We use advice work, advocacy and training to work with people to address issues of poverty, inequality and community cohesion. Within this framework we have a special focus on financial exclusion and social justice. We provide generalist advice face to face and over the phone from three main offices and several outreach venues across the area. We deliver specialist advice and casework in housing, debt, employment, immigration and welfare benefits and trainees will be expected to gain experience in at least three of those areas. We hold LAA contracts (including a Court Possession Desk contract) in Housing and Immigration (Asylum). We also work closely with many partners in both the third and statutory sectors to deliver services in new ways and locations, often as part of multi-agency teams. We deliver financial confidence building and capability training to enable people to manage their money more effectively, provide placements for social work students, work closely with both local law schools to offer students practical experience and train around a hundred new volunteers a year. We participate in a number of local strategic partnerships especially around welfare reform, refugee and asylum seeking issues, Gypsies and Travellers and financial exclusion. We host and run the local hate crime network, Challenge North Staffs and have pioneered the development of hate crime casework.